So… we are T-minus 5 days until Spring Break and a mere 8 schools days until our state testing. I know I keep mentioning this… It’s only because I am SUPER stressed about it! LOL! Now honestly people, I BARELY have time to breathe, let alone teach AND do a cute craft… so I whipped this easy St. Patrick’s Day writing in an effort to bring some fun back in our Applicious Classroom! I’m so glad I did too, as they turned out so cute and they were soooo easy! First, I had the kiddos verbally brainstorm with their shoulder partner as to what made them “Just So Lucky”. They weren’t allowed to take “nothing” as an answer from their buddies! Then, the kiddos got down to writing! Nothing fancy here, just a quick write up on this fun paper. Earlier in the week, I had printed out some shamrocks onto some left over scrapbook paper I had. We used those to decorate our papers. In the middle of the clovers, the kiddos worked on an illustration of those things that just make them sooo lucky! I love this third’s illustration. She’s so lucky to have her mom! <3! Double bonus?! They made an easy to hang but also festive hallway display! PERFECT! You can grab this little writing craft here for FREE! We’ll be working on our Leprechaun stories starting tomorrow. 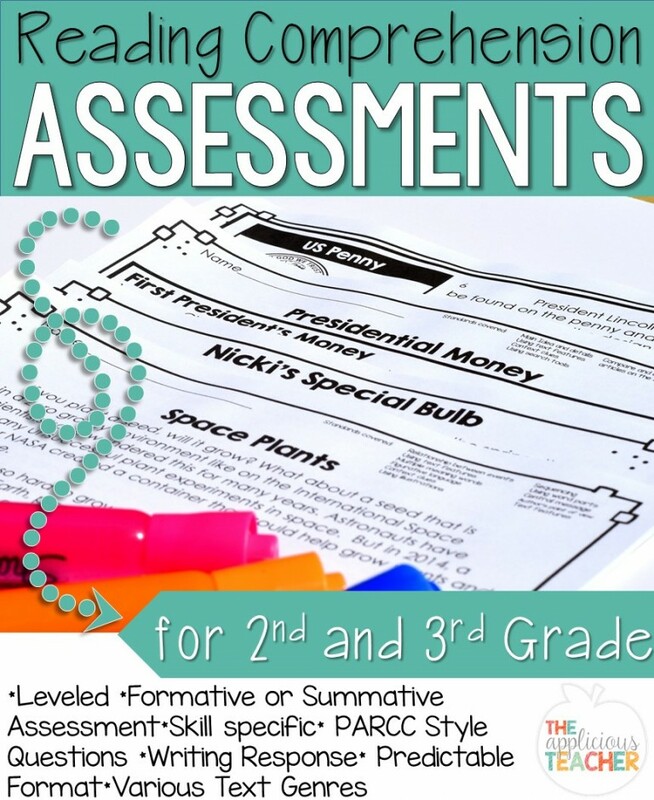 You can check out that fun writing assignment here in my TpT store!